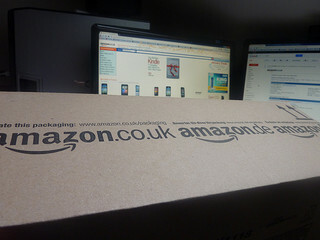 In a growing list of almost inconceivable forward-thinking marketing concepts, the online merchant giant Amazon has applied for a patent for a technology dubbed “anticipatory shipping.” As the name suggests, this patent involves a method of shipping that would allow Amazon to ship products to areas or customers before the customer actually clicks to buy the product on Amazon’s website. Anticipatory shipping would use data from certain areas or customers to anticipate what those customers would order, and begin the shipping process. In some cases, this would involve shipping the item with a partial address, and finishing the label en route. For instance, when a popular new book is released, this method might get a few of those new releases to a large apartment complex and then route it to specific apartments as those orders are placed online. Amazon would use data such as a customer’s previous orders, their shopping patterns, their product search histories, their wish list items, their shopping cart contents, their history of returns, and even how long their cursor lingers over a specific product to make predictive orders. In order to reduce the costs of returning unwanted items, Amazon is considering offering those already-shipped items at a discount, or even letting the customers keep those items free as a gift of goodwill. 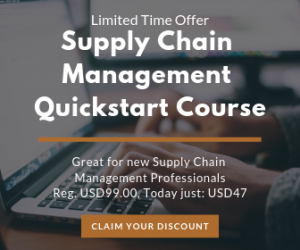 Amazon has increasingly upped their competitive edge in the market, rapidly growing their warehouse network in order to shorten delivery times with overnight and same-day deliveries. If the anticipatory shipping scheme works, it could give Amazon a competitive edge by getting merchandise to customers even faster. Amazon also hopes to discourage customers from shopping in brick and mortar stores to get items quicker than online companies can deliver them.